Here is the tough brain game picture puzzle. This tricky brain puzzle will definitely twist your mind. 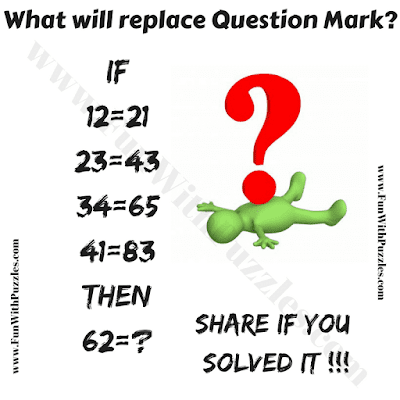 In this your challenge is to find the missing number by solve the given logical equations. So can you solve this tough brain picture puzzle? Answer of this "Brain Game Tricky Picture Puzzle", is currently disabled. Do post your answers in the comments.